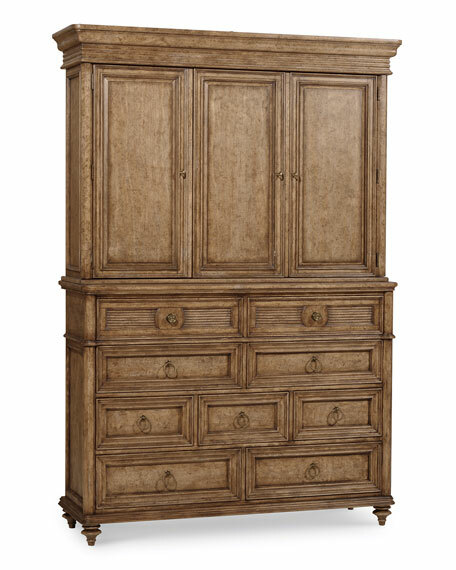 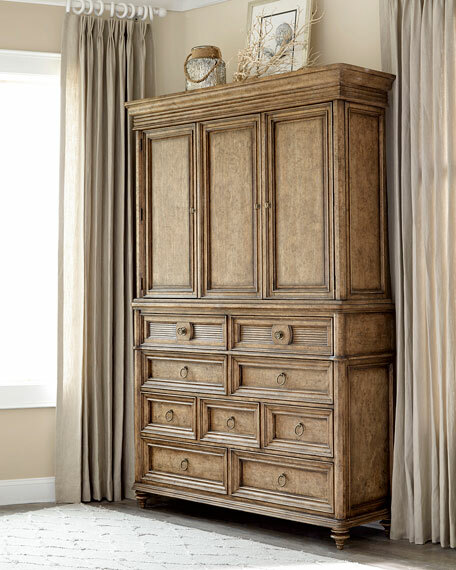 62"W x 19"D x 89"T.
Two doors, one bi-fold; two adjustable shelves; eight drawers. 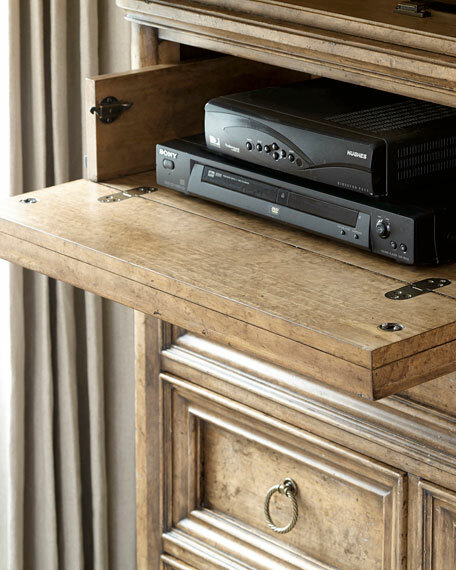 Top left drawer has drop front for use with A/V components. 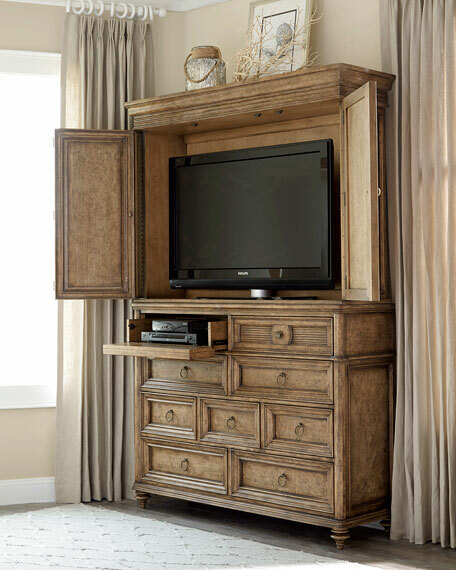 Accommodates most 50" flat-screen TVs.